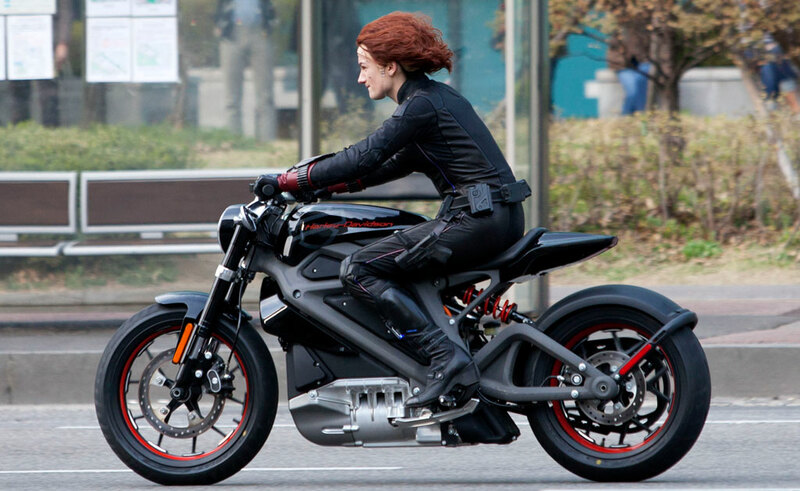 Motorcycle.com has acquired images of this new motorcycle, which was first published by British tabloid the Daily Mail from the set of the next Avengers movie, currently filming in Seoul, South Korea. 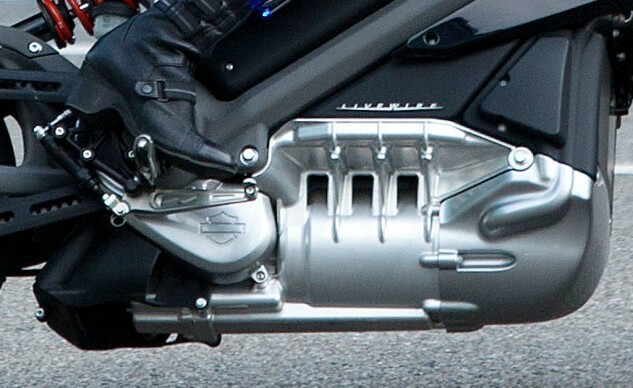 While this initially appears to be a far cry from anything H-D has built in the past, these photos clearly show a lack of an exhaust pipe on either side, a big, square shape resembling a battery where an engine would be, no clutch or shift lever, and most telling of all – the Harley-Davidson logo across the faux gas tank. While we don’t know details about the bike, it’s not uncommon for one-off vehicles to be used in Hollywood. However, the fit, finish, and near production-level quality of this bike lend itself towards mass production rather than a life only on the big screen. Discuss this at our Harley-Davidson LiveWire Forum. 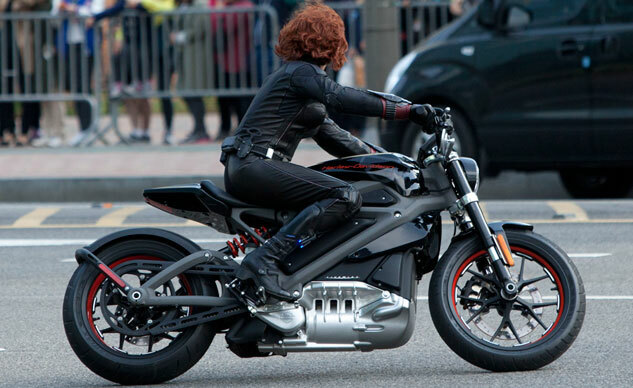 Remember too that the Harley-Davidson Street was featured in a motorcycle chase scene in Marvel’s Captain America: The Winter Soldier movie, appearing in the film’s trailer a week and a half before Harley-Davidson announced the motorcycle existed. While the Street was hiding in plain sight, there is no hiding the Livewire. It’s unlikely Harley has produced its own battery and motor system and has likely instead chosen to source those bits to more established players in this field. Zero, Brammo, or Mission Motors are the ones that come to mind. Judging by how substantial the battery is from these shots, we’re guessing its capacity to be anywhere from 9kWh to 15kWh. The guts of the Livewire are hidden in bodywork, so it’s difficult to determine which motor it is using, but we suspect it is liquid-cooled based on the pipe and fitting near the leading-edge of the bodywork. Upon closer inspection, you can see the bar and shield logo on the brake calipers, plus a fork and brake rotor which appear very similar to that used on the Night Rod Special. Judging from the right profile photo, the Livewire has a very steep rake and a fairly modest wheelbase, which should provide relatively sharp handling for what could turn out to be a heavy motorcycle. Styling cues are unlike most other Harley models, but do perhaps pay some homage to the V-Rod and former Buell lines with the short tail, sculpted swingarm, and all-encompassing rear fender. We can also see a linkage-less single shock, right-side belt drive and ten-spoke wheels. That’s all we know for now. Keep it here as we expect to hear something official soon. This is potentially major news from America’s motorcycle company.